Nigerian singer Small Doctor has regained freedom after he was released from police custody. It’s barely 24 hours since the ‘Penalty’ crooner was arrested by the police for carrying illegal firearm. He was arrested together with three of his companions. His arrest was announced by the Lagos State Commissioner of Police. Small Doctor was charged to court and immediately. He was granted bail by the Ebutte Metta Magistrate Court after pleading not guilty to charges leveled against him. Upon his release the street sensation took to Twitter to thank God. Smalldoctor freed . . Barely 24 hours after his arrest for alleged unlawful possession of firearms and threatening violence against a police officer, singer Small Doctor has been released. . . The singer was arraigned earlier today, at the Ebute Metta Magistrate court, alongside the three other people arrested with him. . . A police source revealed that the suspect has a licence for the gun over which he was arrested and arraigned by the police. 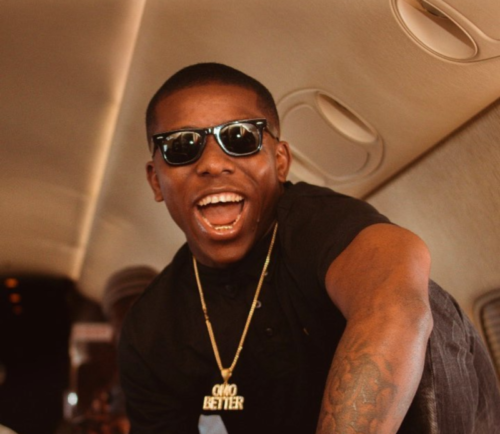 . . Small Doctor pleading not guilty to all the charges against him and was, subsequently, freed with a warning not to be involved in any violent act for the next one year.